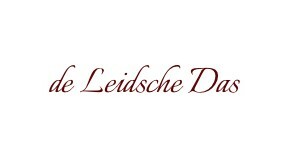 Custom branded company ties by the Leidsche Das. 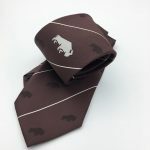 Our in house designers are ready to work with you to create a unique design for your company ties based on your corporate identity, wishes and ideas. 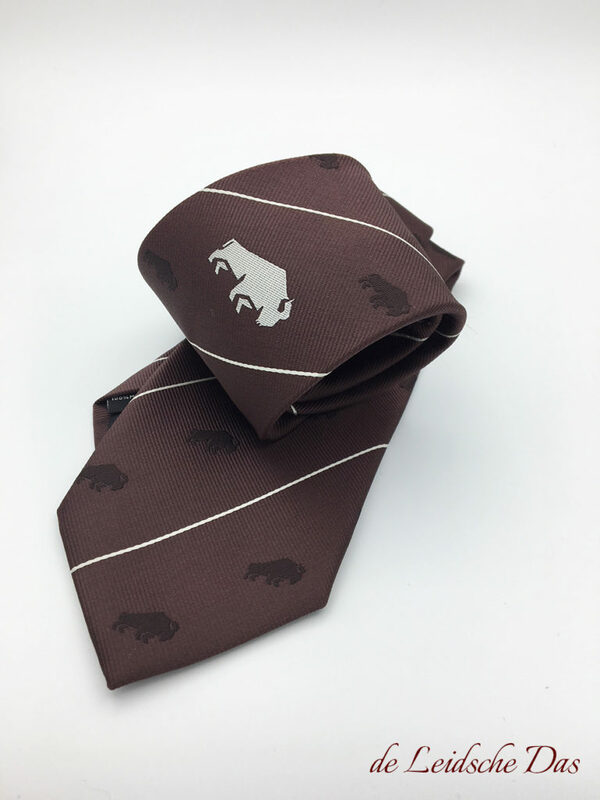 The entire design process for creating the design for your ties is completely free of charge. 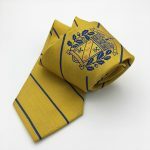 We have no limited standard pattern templates to choose from and we do not print or embroider prefabricated neckties. Our design process for custom designed company ties. No standard designs, we start the design process from scratch.The possibilities for your tie design are almost endless. 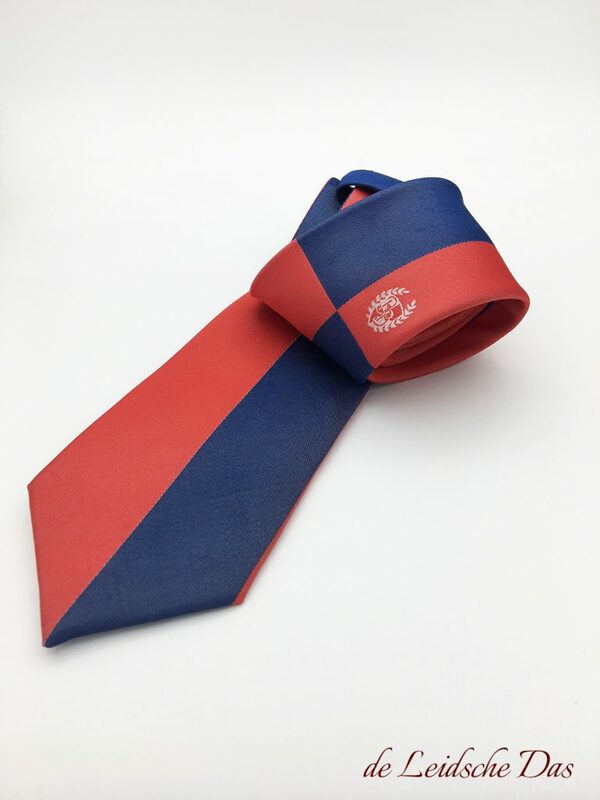 During the design process for your company ties you can make the following choices, the length and width of your ties, the color(s) of the yarn used, your own custom designed pattern, the weaving structure of the fabric and the position(s) of your logo, image, and/or text. 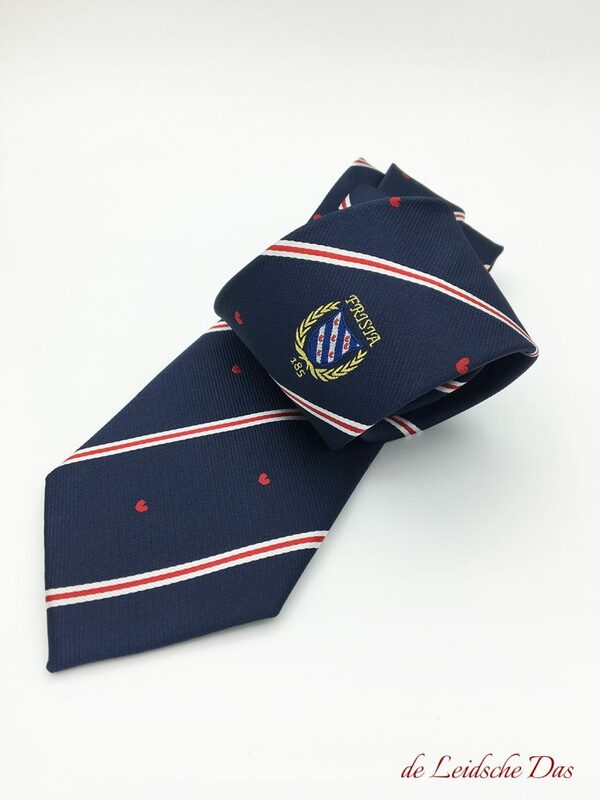 We have years of experience in the design and production of custom woven company ties. 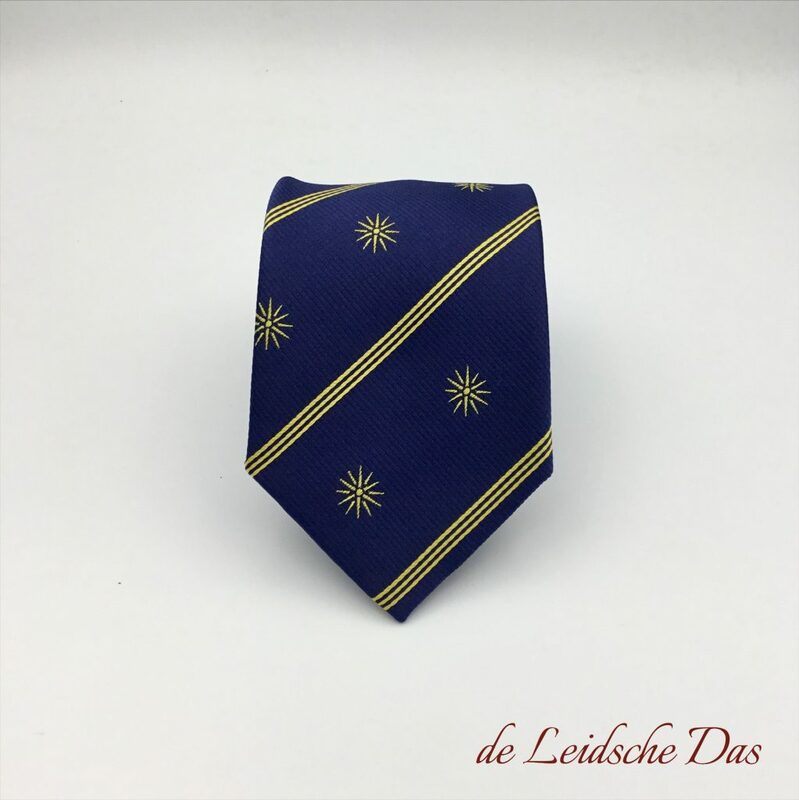 We would like to invite you to contact our design department if you would like to have neckties designed and made according to your own personalized design. Contact our Free Design Service. 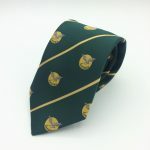 Prices Custom logo ties made in microfiber/polyester. 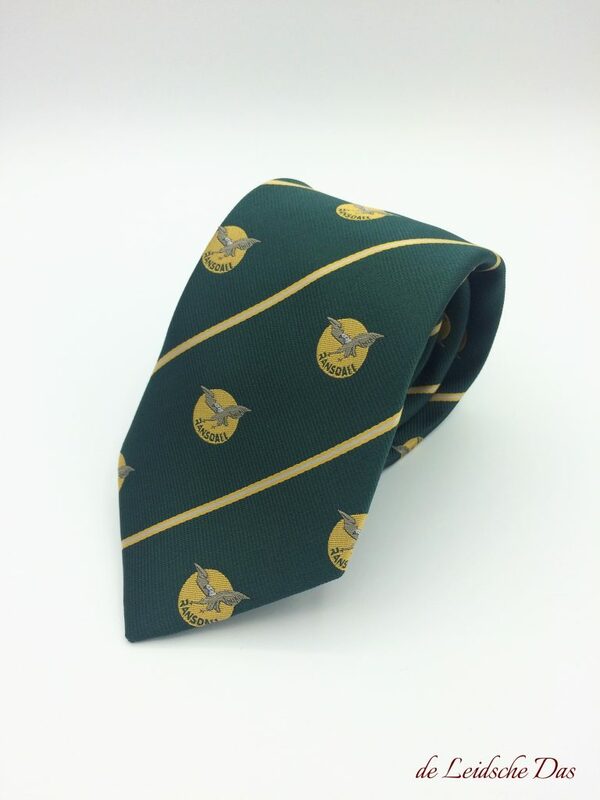 Prices Custom logo ties made in 100 % silk. 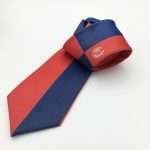 The production time we need to produce your custom company ties. If the design has been approved by you and the invoice is paid, then our atelier starts with the production. 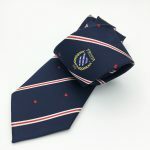 In general the production process of your custom ties takes 4 to 8 weeks. After our last quality control we send your order by courier. Curious about the many possibilities or do you have any questions? 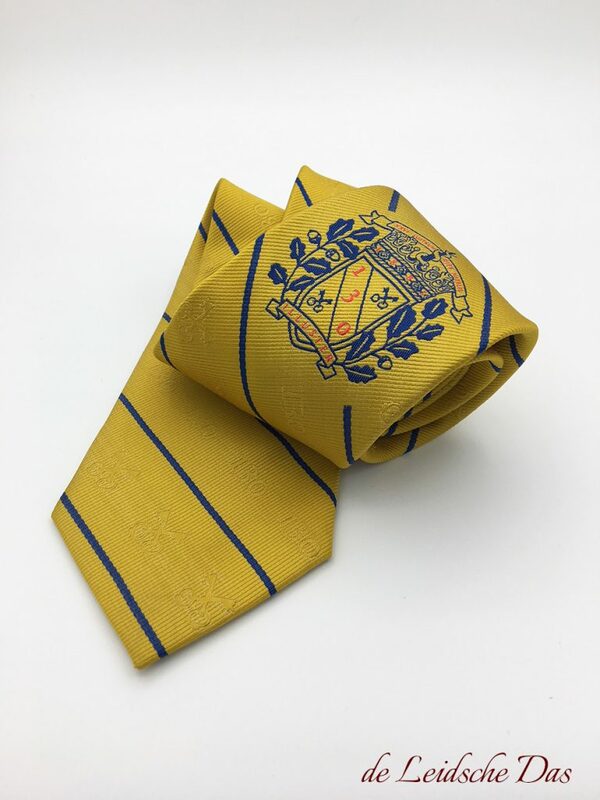 Contact us and we will gladly help you with the design for a unique custom tie. Necktie brand the Leidsche Das is a Dutch company located in the historic city of Leiden in the Netherlands and we design and manufacture high quality woven custom made neckties and bow ties at very reasonable prices.